Manchester United have equalised against Chelsea! The Reds got a lucky break when a ball fell to Martial in the box and he made no mistake. 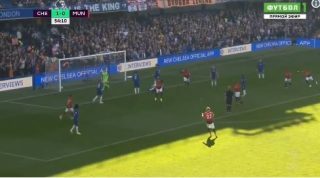 There was some controversy as Marcos Alonso was down on the ground, but the ref didn’t blow his whistle, so we played on. We haven’t been at our best in this game, but this goal will give us huge confidence and we can really turn the heat up now.